SCP : Get your telecom network ready for new Services ! Deploying new services without managing the burden of geographically separated switches updates is key for Mobile Operators Time-to-Market expectations. 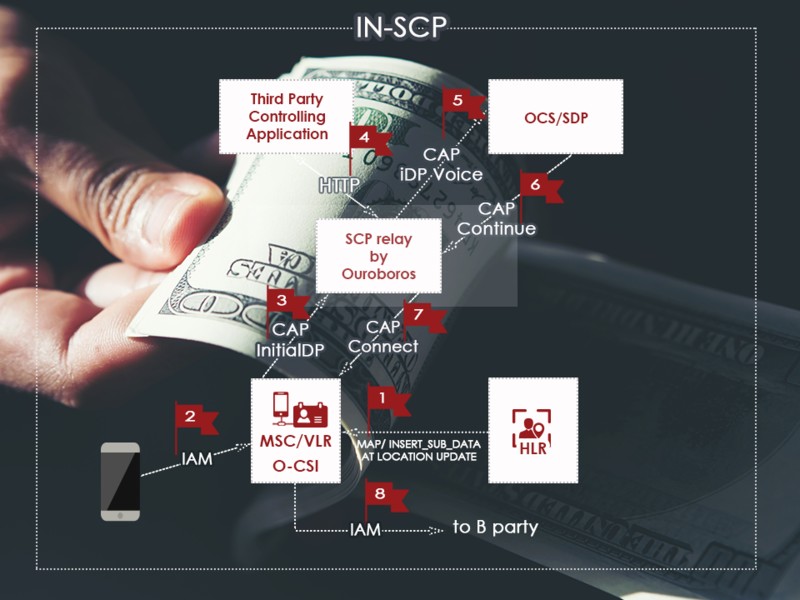 Ouroboros IN-SCP is a complete implementation of the gsmSCF and fix SCF function, able to dialogue with the rest of the Core Network (NSS) through CAMEL, MAP or INAP protocols and with third party Service Data Point through RPC-XML, SOAP, JSON-RPC, SIP and Diameter. 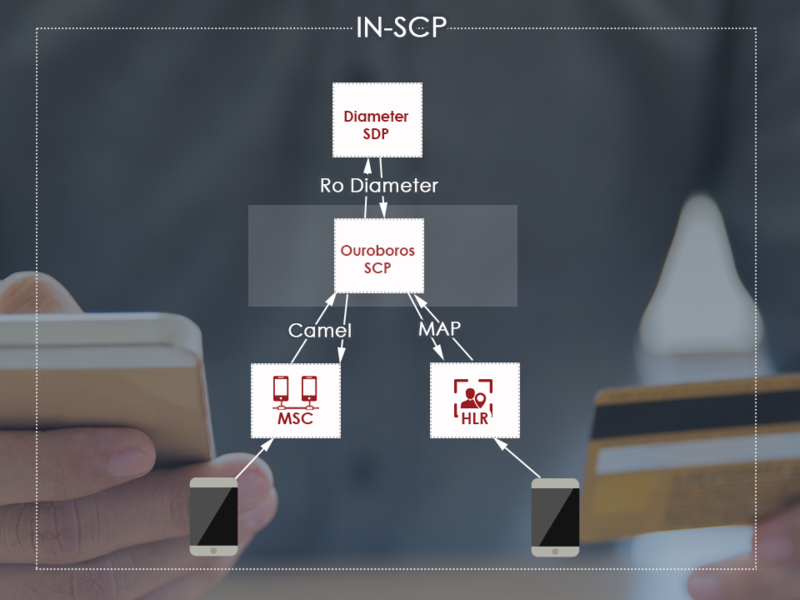 # In convergent IMS/NSS environments, Ouroboros SCP behaves as a Diameter Agent talking to a Diameter Service Data Point (OCS) through a Ro Diameter interface . 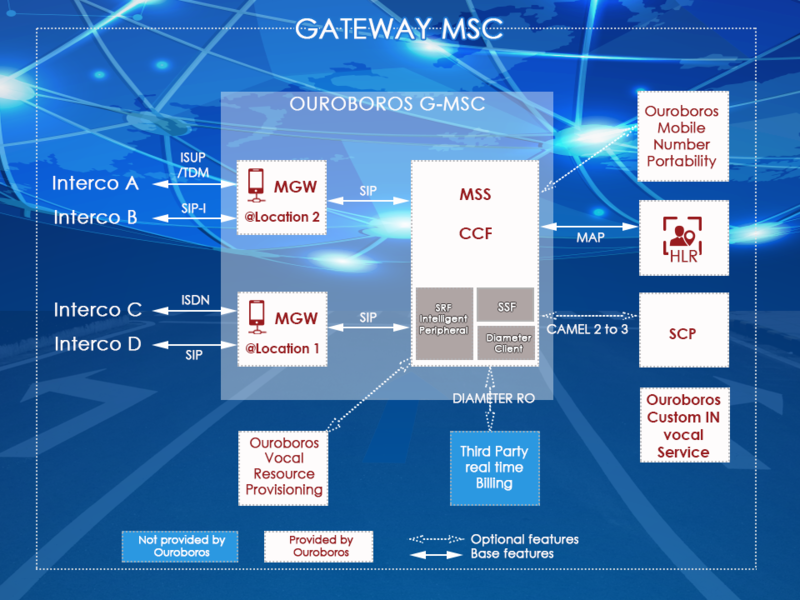 # For Mobile networks in between 2G/3G to 4G, Ouroboros SCP can be configured as a reverse IM-SSF : this allows advanced services created for the IMS working with SIP to be usable in a traditional GSM context. 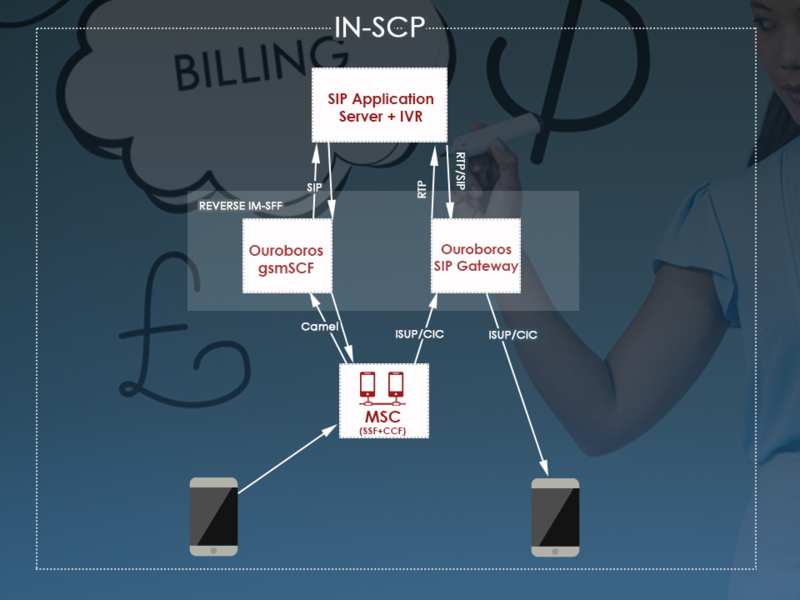 # In case of network using an already existing billing SCP (prepaid or convergent billing), Ouroboros can act as a SCP Relay and forward CAMEL messages to the legacy equipment intervined with the service delivery. # Number translation services such as Abbreviated Dialing, Virtual Numbers or Conference Calling Meet-me numbers. # Billing services : from prepaid cards to credit card calling. 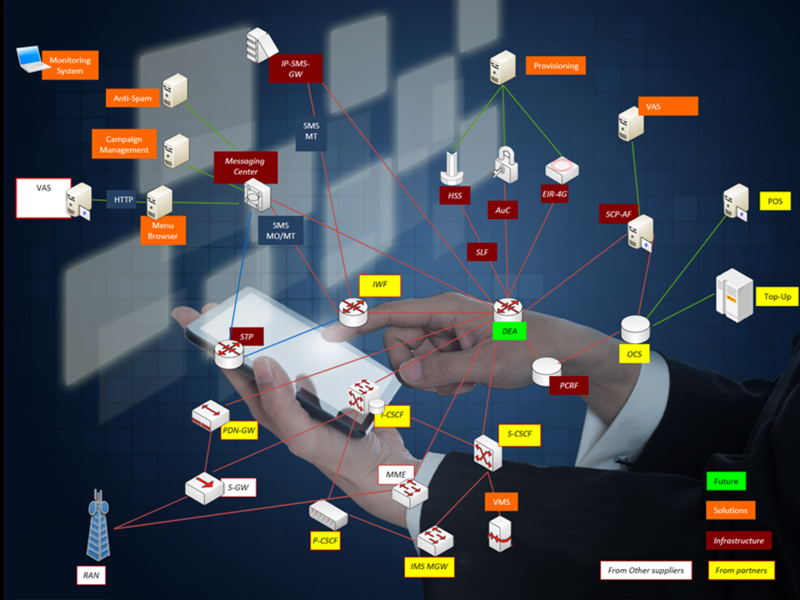 # Filtering services whereby the SCP can allow/disallow calls, SMS or data connections based on specific informations. # Handling of failed call to forward to a VMS.